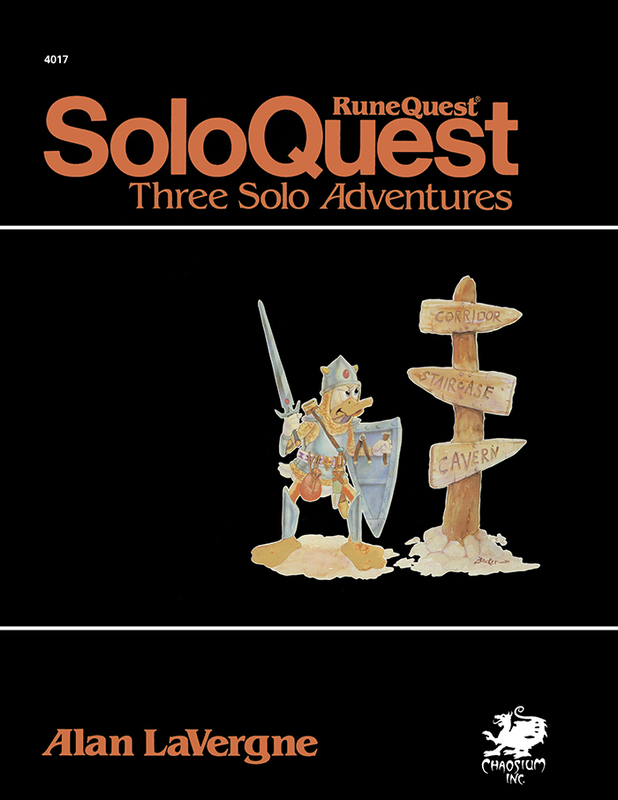 SoloQuest Classic Collection - PDF - Chaosium Inc.
Click the button below to add the SoloQuest Classic Collection - PDF to your wish list. DreamQuest - Once upon a dream, your god appears to you. You are offered the opportunity to serve your god by defeating four foes in mortal combat. 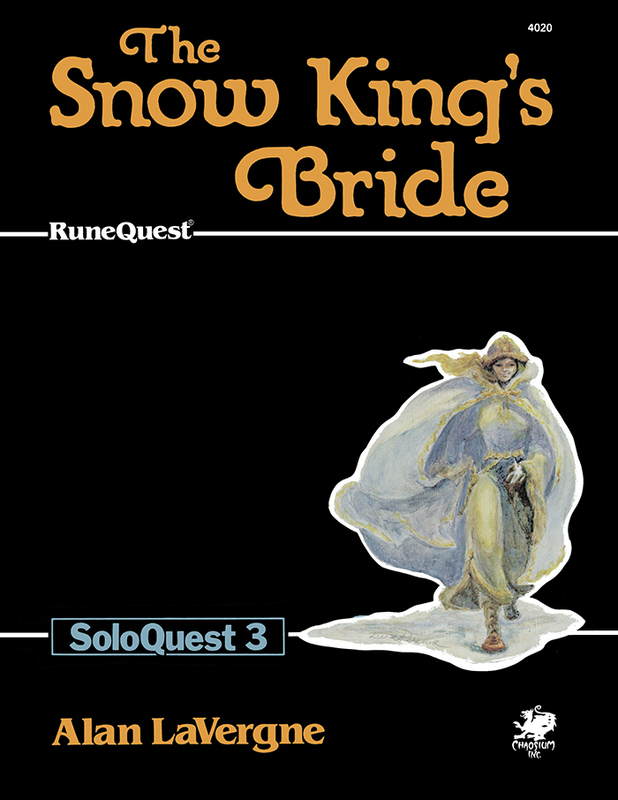 Step-by-step solo-melee combat rules for the detailed RuneQuest combat sequences are provided. Maguffin Hunt - The dwarves have stolen the valuable maguffin. You are offered a big reward for its recovery and apprehension of the thieves. The dwarves have hidden their prize in their intricate labyrinthine tunnels in the Dwarven mountains. Who will dare? Somewhere in the forest, a band of scorpion men have their hideaway. Their raids have depopulated the local lands, but the Empire will do nothing. You must locate their lair, then penetrate it to learn their secrets and destroy their center of power. It will be a near-impossible task. You might fail - and die. 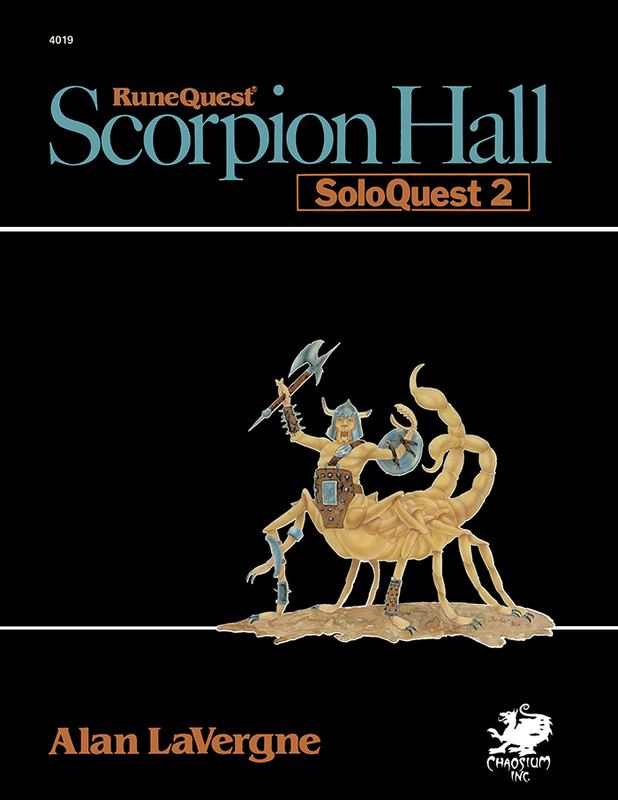 But if you die, you know that your friends will follow you into the ever-changing world of Scorpion Hall and avenge you. Can you meet this challenge?